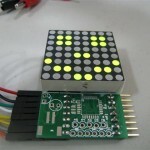 via SPI or I2c to any microcontroller. 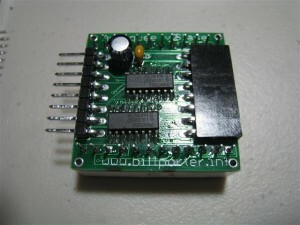 Also adding some degree of PWM brightness control would greatly add to its functionality. If you plan to sell these I sure would be interested. 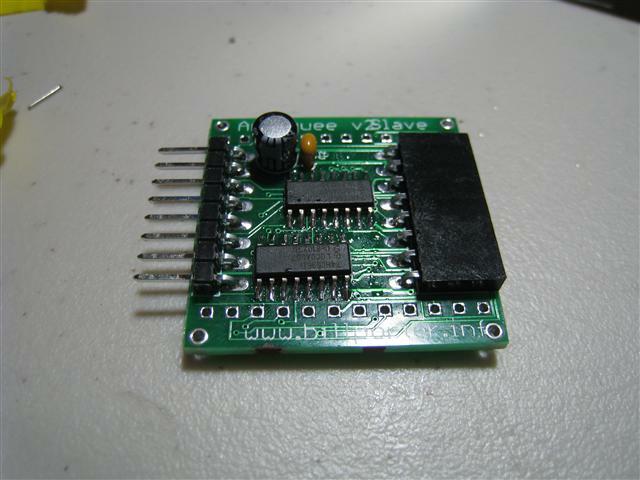 I’m planning on having them communicate via serial over Uart, but I also broke out the I2C pins as well. Thanks. 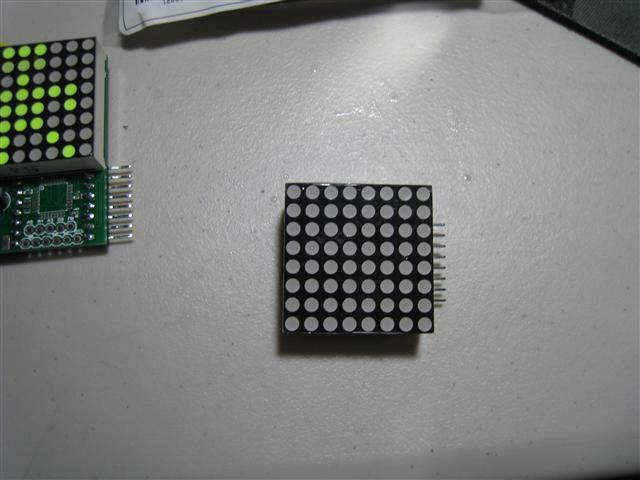 I’m having a set back right now, I can’t LED matrix’s similar to what Sparkfun sells (Common Cathode or Anode, don’t remember which) anywhere, as I’m trying to find a better deal on a quantity purchase. I would LOVE to buy a kit when you’re finished. 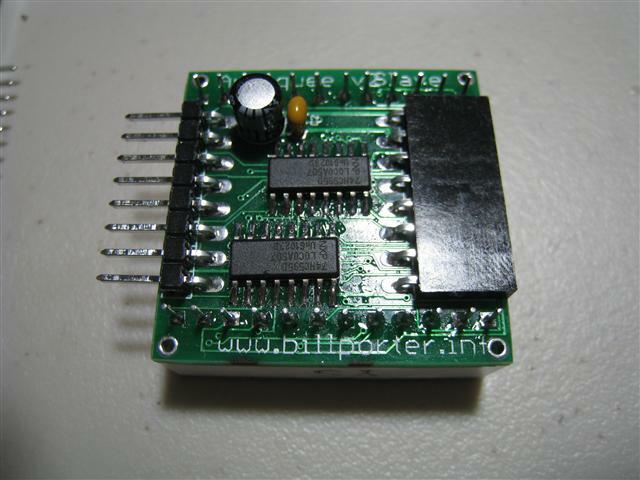 As for features, I was wanting to eventually use a bluetooth, wifi, or ethernet module that could be fed either script commands on the fly, to the display, or it could go into a low-level state, and the host would stream frame-buffer data directly to the device. This would allow me to update in real-time and with images or new fonts, etc. I already have the code the generates the frame-buffer as a linux screensaver. I just need to get the physical stuff done. If there is anything I can do to help, let me know! 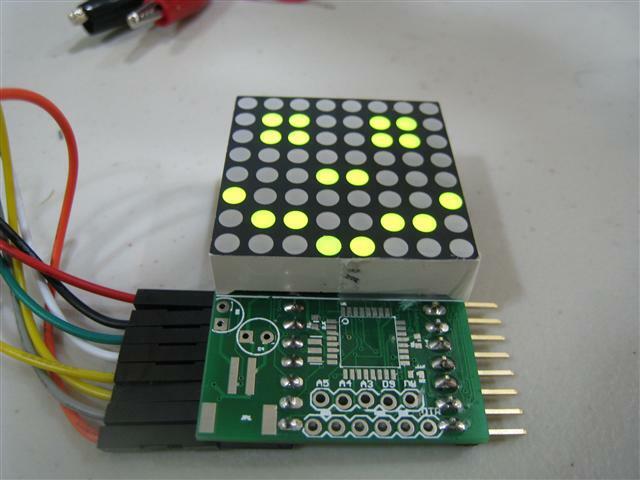 Are you using single 6C595 chip to source LEDs and two ordinary 595’s to sink current? Tried bending it flat with the board? 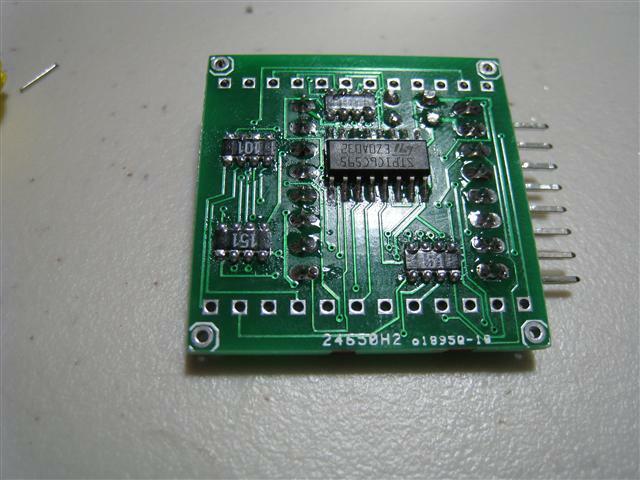 Carefully bend the pins 90 deg with needlenose pliers and solder it in. Maybe add a dab of hotglue between the capacitor and the PCB, just in case. Oh, one more thing. Thought of making a “90 degree” version of the board? With the headers on neighbouring edges instead of 180 degrees apart? 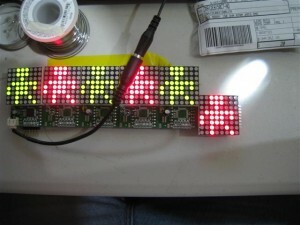 That combined with regular version boards would make it possible to stack the matrices into 2-row marquees or even arbitrary shapes. Yeah, v2.1 has no more big caps on the slave boards, and one laying 90 deg on the master as you suggested. 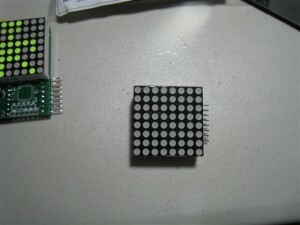 The salve’s caps have shrunk down to SMD caps that don’t stick out as far. I thought about other configurations, but it would be too high of production costs for me. 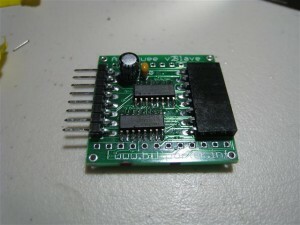 If you wanted to, you could not solder the pin headers on, and use hook-up wire to connect boards together and lay them out any way you want. 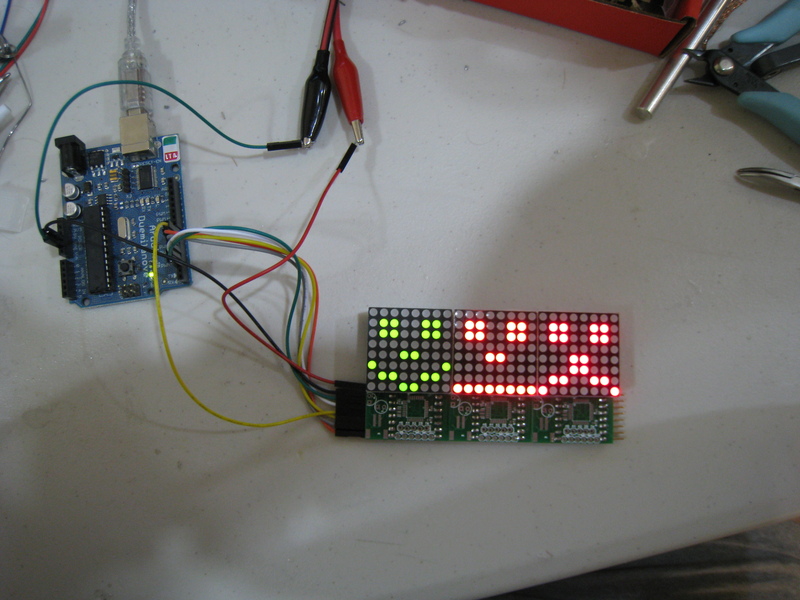 Also, the latest version has some provisions for creating bigger display, like 3×10 boards for example. 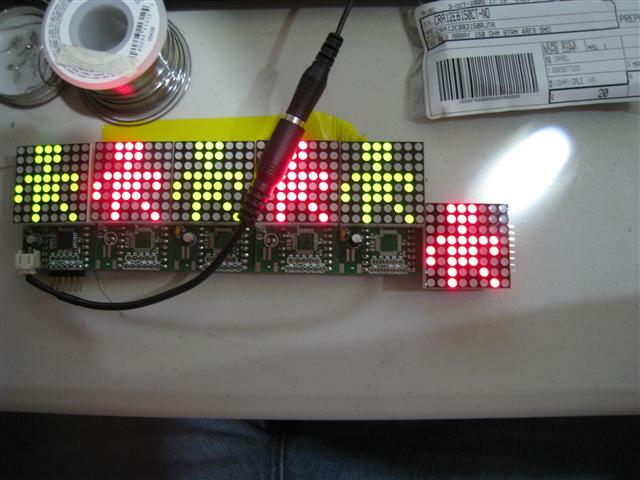 Each row would require a master, and the masters would be linked by I2C to communicate to each other. Please let us send you lots of money 🙂 I need these boards soon! Great project. Thanks for the feedback! I’m finalizing the final design now. Stay tuned.